Well hello everybody and how do you do! Back so soon, Nikki? Nope! It's Amy here! Okay, before you all shower me with hugs and kisses, I must apologize. I haven't posted in, how long? OVER A MONTH!!! (36 days, to be exact...) Even Nikki (No offense intended. ;-)) has been keeping up better than … Continue reading Where did the time go? Hi all! 😀 I'm back for my WAYRW on Thursday. Okay, just stating the obvious here but still... 😉 Anyway, I know I promised you a WAYRW Wednesday, but I was spending time with a good friend I hadn't seen in a while, and then I ended up making cookies (which by the way are … Continue reading What Are You Reading Wednesday? 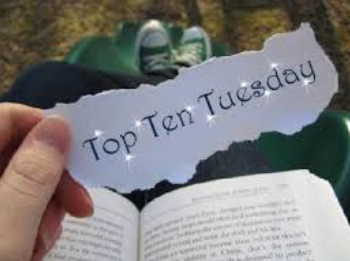 What Are You Reading Wednesday!!! Yet another What Are You Reading Wednesday with Amy! In case you haven’t heard of it, What Are You Reading Wednesdays is a weekly meme hosted by Its A Reading Thing. Simply answer these three easy questions: 1. What’s the name of your current read? 2. Go to page 34 in your book or 34% … Continue reading What Are You Reading Wednesday!!! Yaaaaayyyyy!!! Amy here! With MUCH persuading, I finally got Nikki to agree to doing another meme! I think it definitely helped that it's so short and quick. 😉 In case you haven't heard of it, What Are You Reading Wednesdays is a weekly meme hosted by Its A Reading Thing. Simply answer these three easy … Continue reading What Are You Reading Wednesday!! !